Special Ops fans, arm yourselves and prepare for battle! 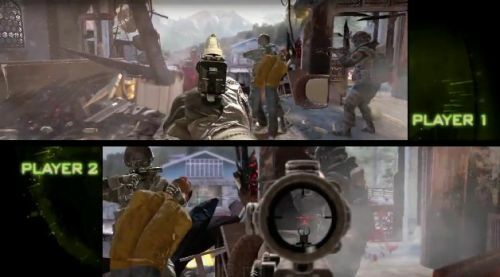 The new Call of Duty: Modern Warfare 3 DLC trailer is here, and it's got explosions, snow mobiles, and AC/DC out the wazoo. We posted our impressions of Content Drop Collection #1 a couple of days ago, and we were, well, impressed. I was done with CoD: MW3 for the season, but the thought of snowmobiles and aggressive hostage negotiations may have me coming back for more. The new content will have four multiplayer maps, four new co-op survival missions in those maps, as well as two new Special Ops missions. The DLC is out now for Elite members and will be available on the Xbox 360 on March 20th. It will be available on the PS3 and PC at a later date. Check out the trailer below. Call of Duty: Modern Warfare 3 is out now on the Xbox 360, PS3, and PC. It supports two player local co-op and 2 player online co-op.